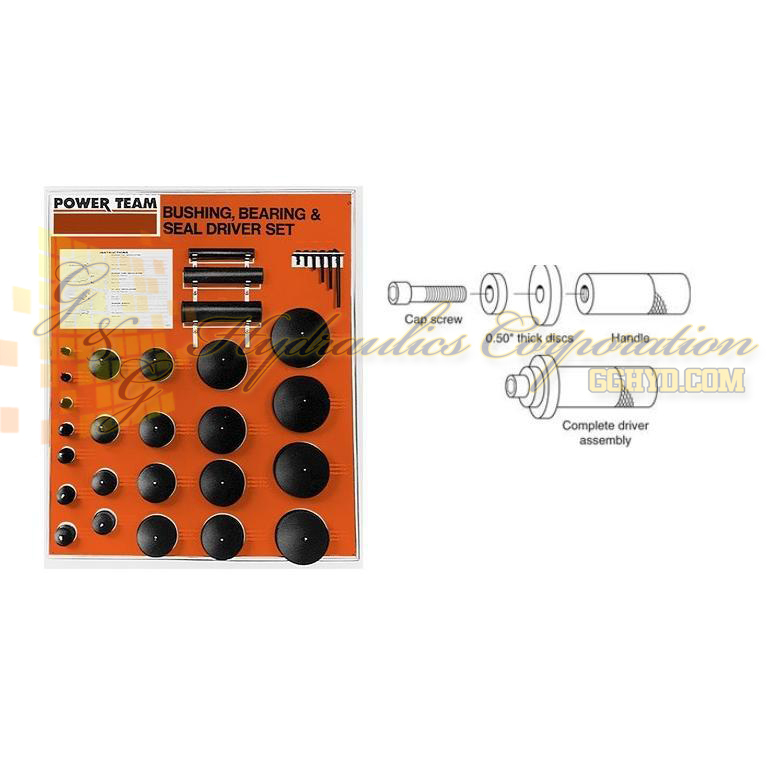 Part #27793 SPX Power Team Seal And Bearing Driver Starter Set, 4.0 lbs. These sets include discs and handles for custom seal driver assembly to provide a pilot (to prevent cocking), a spacer (so force is applied on the proper area) and a driver (for even force dist.). Discs range from 1/2" thru 4 1/2" diameters in 1/16" increments. Each set includes a handy plastic box with pre-cut tool tray.